What would you feel, every time you enter in any McDonald's branches worldwide? Isn't it a feeling of cheerful, joyful or contented? Well in simpler term, happy right?, That's the reason why McDonald's created a fun-loving character named Happy. 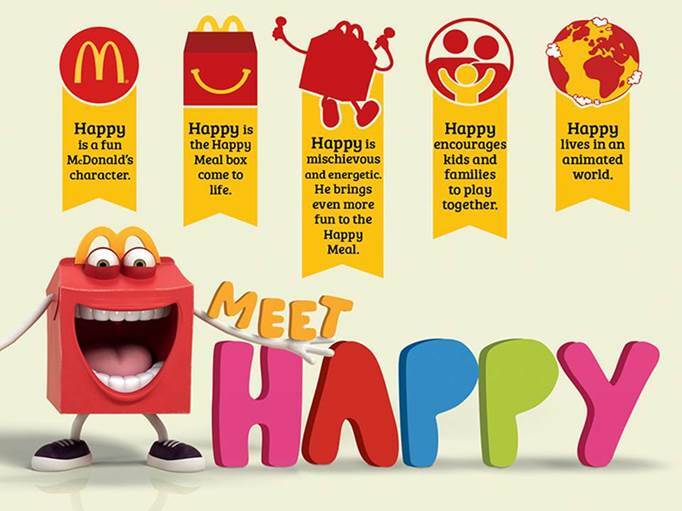 Happy is not just a fun-loving character, it comes in various forms to represents McDonald's like, Happy Meal Box that come to life, Happy is energetic and brings more fun to the Happy Meal, Happy encourages kids and families to play together and Happy lives in an animated world.